For nearly 35 years, our leader has been a catalyst for Islamic growth in America. special takes a rare look at the man who led hundreds of thousands of Americans into mainstream Islam. For the first time, experience an in-depth view of this iconic American figure. 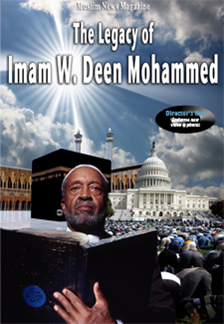 Few men have had a bigger impact on America’s religious landscape than W. Deen Mohammed. Since 1975 when he was elected to leadership of the Nation of Islam, until his death in 2008, he effectively changed the global image of Muslims in America. Witness his legacy first-hand with rare video footage and special commentary from some of the nation’s top Islamic leaders.